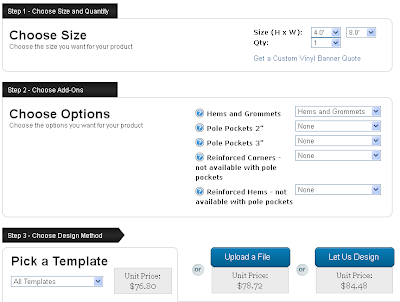 There are now three easy ways to order banners online from Banners.com. 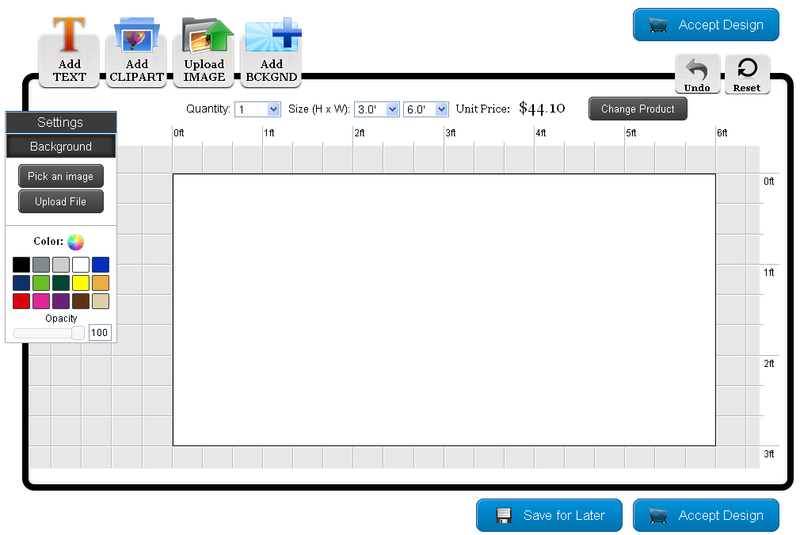 You can either select a template that we have created, or select a blank template to get into the online designer. Once you are in the online designer you can add text, select clipart, upload photos and browse backgrounds. If you have created your own files, you can easily upload them to our site by selecting the "upload a file" button. You will be taken into the online designer to make sure that the banner will print correctly. If you are more comfortable having someone else design your banner, you can select the "let us design" option. You can upload any logos, artwork and photographs that you want to include on the banner. One of our graphic designers will create a banner for you based on your specifications and send you a proof for you to approve.